Janusz Korczak was born Henryk Goldsmit in Warsaw on July 22, 1878. During his youth, he played with children who were poor and lived in bad neighborhoods; his passion for helping disadvantaged youth continued into his adulthood. He studied medicine and also had a promising career in literature. When he gave up his career in literature and medicine, he changed his name to Janusz Korczak, a pseudonym derived from a 19th century novel, Janasz Korczak and the pretty Swordsweeperlady. In 1912, Korczak established a Jewish orphanage, Dom Sierot, in a building which he designed to advance his progressive educational theories. He envisioned a world in which children structured their own world and became experts in their own matters. Jewish children between the ages of seven and fourteen were allowed to live there while attending Polish public school and government-sponsored Jewish schools, known as "Sabbath" schools. The orphanage opened a summer camp in 1921, which remained in operation until the summer of 1940. Besides serving as principal of Don Sierot and another orphanage, Nasz Dom, Korczak was also a doctor and author, worked at a Polish radio station, was a principal of an experimental school, published a children’s newspaper and was a docent at a Polish university. Korczak also served as an expert witness in a district court for minors. He became well-known in Polish society and received many awards. The rise of anti-Semitism in the 1930's restricted only his activities with Jews. In 1934 and 1936, Korczak visited Palestine and was influenced by the kibbutz movement. Following his trips, Korczak was convinced that all Jews should move to Palestine. The Germans occupied Poland in September 1939, and the Warsaw ghetto was established in November 1940. The orphanage was moved inside the ghetto. 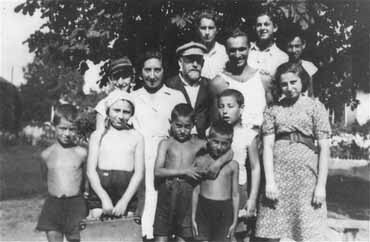 Korczak received many offers to be smuggled out of the ghetto, but he refused because he did not want to abandon the children. On August 5, 1942, Korczak joined nearly 200 children and orphanage staff members were rounded up for deportation to Treblinka, where they were all put to death.